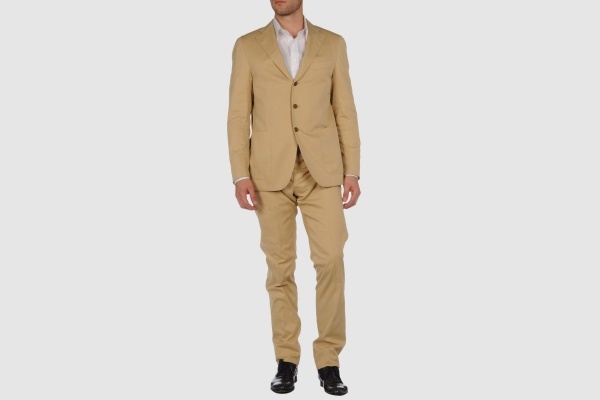 Simplicity in tailoring sometimes comes rarely, so when a brand like Maco creates something as simple and effective as this beige cotton suit, you have to sit and wonder at it. Wonder at the basic yet effective three button, notched lapel design, the patch pockets, and the classic American design that gives this suit its charm. A truly amazing suit, available online now.